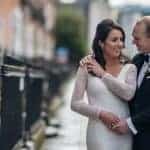 I was so glad when Sam and Stephen were searching for a wedding videographer in Dublin, they found me! 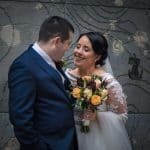 I loved everything about this wedding, the light, the team and of course, the couple! Their beautiful wedding was planned in just three weeks! Despite this short time-frame, everything went exactly as planned. This is thanks to the super team of wedding professionals which were brought together by Collette from Elegant Events. The flowers and decor design were provided by Frog Prince Weddings & Events. Nicola Webster did the photography – she’s amazing to work with as always. Michelle field did makeup and the beautiful cake was designed by Emily’s Pantry. Here’s a sneak preview of their wedding film, enjoy!